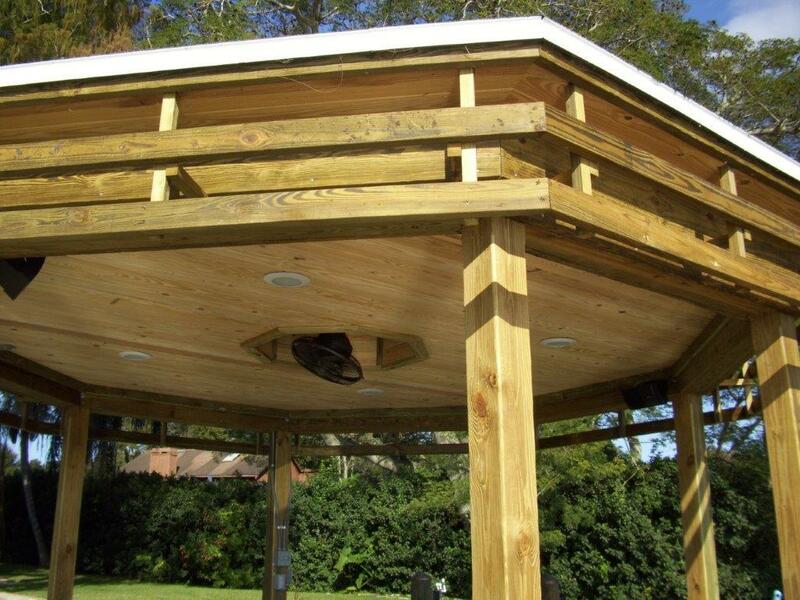 This dock with an octagonal covered activity deck was designed by Architect Randall Baker. 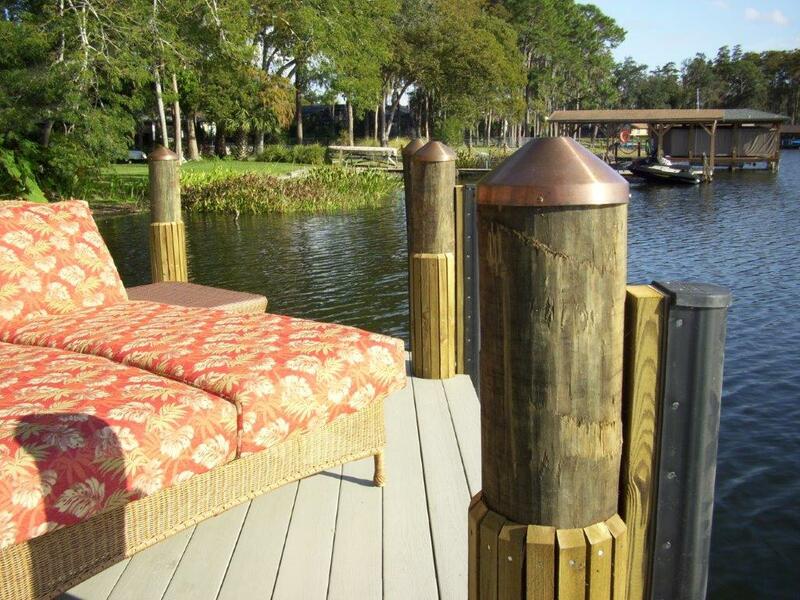 The custom dock features vinyl decking, round piles and square piles. 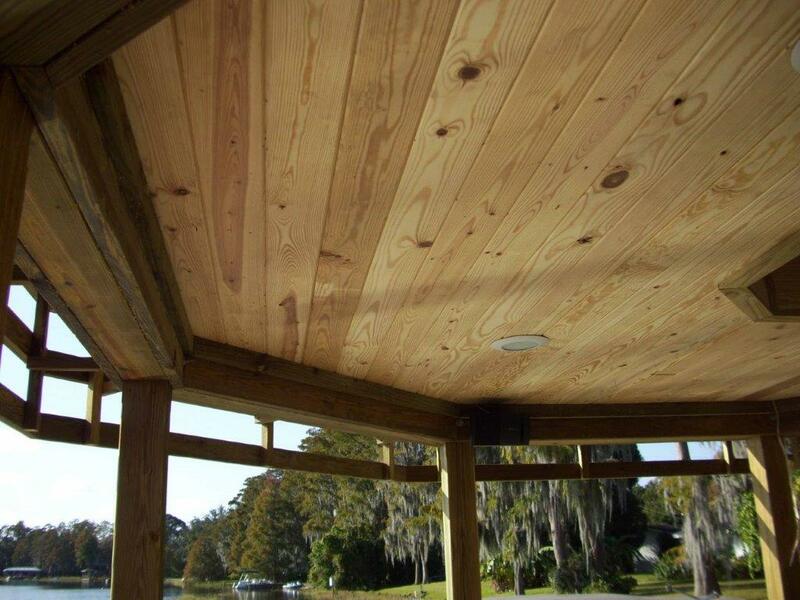 The cupola is also octagonal with the ceiling constructed of 1x6 tongue and groove Pine V-joint finish boards.